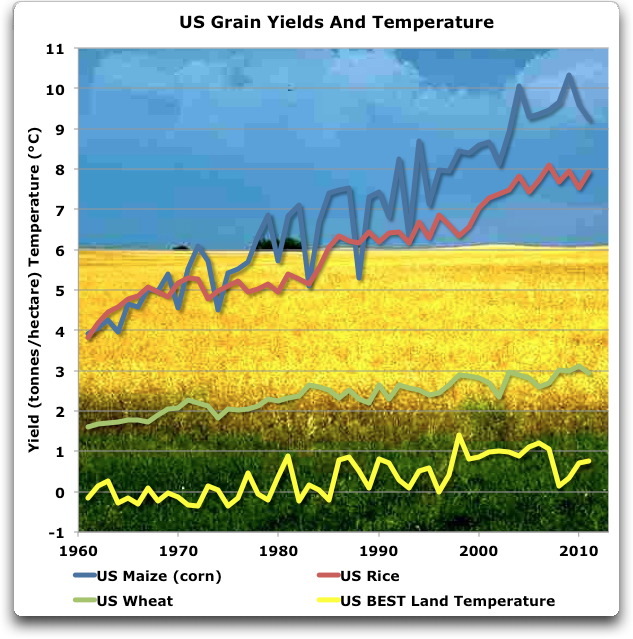 If there is one area of climate prediction which demonstrates how disconnected from evidence climate science has become, it is increasingly tattered predictions that climate might cause food shortages. According to a 2015 report from the World Food Programme (WFP), climate change presents risks to the whole food system, from production, through distribution to consumption. Since the U.S. produces 40 percent of the world’s corn, production shocks in the U.S. impact global prices. The U.N. Environment Programme (UNEP) reinforces that climate change is happening, yet uncertainties remain over the direction and magnitude of some changes. It is only a matter of time before food prices are discernibly affected. This impact could be a hardship for consumers. Data from the U.S. Department of Agriculture (USDA) shows that consumer spending on already prepared food outside of the house, proportional to income, has increased to more than 50 percent as a share of total food expenditure. In 1929, that portion constituted only 13.4 percent of the average U.S. household’s food budget. According to the USDA, this separation can be partly attributed to an increase in food service establishments, busier lifestyles, and more dual income households. What a non-crisis. If I’ve understood correctly, the crisis is that take-out food is getting more expensive, while food prepared at home is getting cheaper. Some people might have to learn how to pack sandwiches, like their parents did. And maybe one day climate will impact food production. Back in the real world, food production is soaring, carbon fertilisation is real, and warm tropical climates are amongst the most productive food regions in the world – so any global warming will almost certainly cause food production to increase even further.